To fill tires with nitrogen, a Nitrogen Tire Inflation System (which is a service usually available at local tire shops) uses a membrane to separate the nitrogen, passing it along through a compressor to your tires. Photo courtesy of Elizabeth AutoCare. For years, some representatives in the tire industry have been pushing the idea of using nitrogen-filled tires instead of air. The arguments for using this inert gas for tire inflation are myriad. Nitrogen molecules are larger than oxygen molecules and are less permeable. The result? Tires with nitrogen keep the proper pressure longer. This means you’ll spend less time filling your tires. Additionally, a properly inflated tire lasts longer and offers better fuel economy. Further, nitrogen fill systems are dry and don’t dispense water vapor into the tire. No water in the tire means the rim will have less of a tendency to rust (at least for certain rims that are not made of aluminum), thus it will last longer. When water vapor is present in compressed air and put under pressure into a tire, it will likely condense and end up as liquid water. “The likelihood of creating any significant damage is pretty slim,” says 40-year tire expert, Roger Marble. Marble explains that corrosion issues are typically on the outside of the rim, rather than in the air chamber. He reports he doesn’t ever recall seeing any serious corrosion issues in an air chamber. Nitrogen fill systems are dry and don’t dispense water vapor into the tire, meaning certain rims will have less of a tendency to rust. Photo courtesy of iRV2.com member, Cheepjeep80. So, is using nitrogen in your RV tires a good idea or is it really a lot of hot air? Nitrogen is an inert gas and doesn’t support combustion. It’s a pretty common gas. Seventy-eight percent of what you breathe is nitrogen, 21 percent is oxygen, and the remaining 1 percent is a mixture of other gasses. To fill tires with nitrogen, a Nitrogen Tire Inflation System (which is a service usually offered at local tire shops) uses a membrane to separate the nitrogen, passing it along through a compressor to your tires. The nitrogen content coming out of a nitrogen fill hose needs to be at least 93 percent pure. Do nitrogen-filled tires mean better fuel economy? The Environmental Protection Agency points out that poorly inflated tires on American roads consume millions of gallons of fuel needlessly. Does nitrogen make a difference? If your tires are kept at the proper inflation rate, it doesn’t matter if you’re using nitrogen or oxygen. There is no scientific basis to suggest that nitrogen itself will deliver better fuel economy. If you’re pulling a fifth wheel and using nitrogen that will include four tires for your tow vehicle, plus your trailer tires and two spares. This equates to a minimum of 10 tires. Add two more for a dually towing unit and two more for a triple-axle trailer. This may cost anywhere from $30 to $100 minimum to fill your tires. Now, what happens when you’re out on the road, away from your free top-offs? You can certainly do it with free or low-cost air or you can look to pay through the hose for nitrogen, provided you can find a provider within a safe distance. If you use air, you’ll later want to get those tires purged and refilled again. If nitrogen is your decision, here’s a pointer from the pros. Tires need to be purged of air to be filled properly with nitrogen. This typically calls for three or so cycles of filling, deflating, and then filling again with nitrogen. Do not allow the tire folks to “vacuum” out your tire, causing it to turn in on itself. That’s about the equivalent of deliberately trotting your tire through a pothole, in terms of potential tire damage. You may also want to invest in a good tire gauge. A “needle on the dial” gauge is better than the “pen-style” A relatively inexpensive digital electronic gauge is good as well. You may need to check your tire pressure at least weekly or every time you pull out with your rig. Keep the pressures inflated to the recommended level, based on load weight. That’ll help keep costs down at the fuel pump. Still worried about potential damage from water vapor in compressed air? One RVer I know of uses the “el-cheapo” method. Before he sticks the air line on his tire valve, he blasts the air across his finger. In the event there’s a lot of wetness, he keeps blasting to see if perhaps the water vapor had simply accumulated in the hose. When it doesn’t yield dry air, then he moves along to another air purveyor. If there is still a concern, purchase a desiccant filled airline filter, which goes between an air tool and a compressed air line. The filter removes moisture out of the air. When it needs replacing, the desiccant in the filter changes color. Yes, you’ll have to do a little plumbing 101 to get a fitting on the inlet side to reach the air chuck, then put another air chuck on the outlet side. Nonetheless, you can rest easier knowing you’ve dehumidified your tire fills. We have been using nitrogen in race car tires because the pressure doesn’t increase as the tires get hot. I never measured the temps on my motorhome. Tires will typically build air pressure as they get warmed up from driving. I don’t have the value for large motorhome tires, but a passenger car will typically gain about 3 psi going from cold inflation to hot inflation. So, if you are going to fill your tires with nitrogen you should first set your tires to the cold inflation pressure with air (at least 4 hours since driving and making sure the tires are not in direct sunlight) then drive at highway speeds for at least 30 minutes and stop and immediately check the hot inflation pressure. Use this hot pressure to set your tires to with nitrogen then as a check repeat the process with the nitrogen to make sure the hot pressure is the same. This tire pressure increase is built into the recommendation for tire pressure from tire manufacturers as well as vehicle manufacturers. Hence, if you set the cold inflation pressure the same for air and nitrogen, you are essentially running your tires a little under inflated with nitrogen. Is nitrogen better for your tires? Sure, because oxygen is highly reactive with just about everything (oxidation). Could this help with MH tires, which usually wear out due to age rather than mileage? Maybe, if you take care of the outside really well. MH tires usually go bad from the outside; I don’t know if they could last long enough to go bad from the inside out, no matter how well you care for the outside. Seems unlikely to me, though. Thus, I’m not convinced that nitrogen is likely to buy longer tire life for an RV. None of those are the reason I don’t use nitrogen in my (almost new) MH tires, though. The reason is simply that nitrogen can be hard to find during a road trip, and a nitrogen machine would be too big, heavy, and expensive to carry on the road.. It would be far cheaper and easier to just replace tires more often, even if it were proven that nitrogen could extend the life of RV tires by a year or two. I just carry a Viair 400P 12V compressor with me. It’s reliable, reasonably priced, powerful, and can air up a 22.5″ tire in a reasonable amount of time. If I wanted to go whole-hog, I’d spring for a frame-mounted system, but I like the cost-effectiveness and portability of the one I have. 1) filling a low tire, because nitrogen is not available in the back country or at most gas stations and truck stops. Fill a nitrogen tire with air an you get water in there that you then have to change out the next time you get to a nitrogen available station. 2) flats – again generally no nitrogen available out there. 3) cost – nitrogen is not free like air and being a specialty costs money and time and negotiation on the road, your road. Recommendation for the out there traveler. Buy a small portable compressor that is less that $50 and works anywhere and any time you need air. Check you tires daily when you’re on the go and interested as you fill up the fuel tank, it’s a good stretching exercise and policy. You can do this with semi quantitative thump er stick or a quality tire gauge. Nitrogen in the real world is not worth it from my experience..
Another reason for clean, dry Nitrogen. When I got new tires on my tow vehicle a couple years ago, Costco put nitrogen in them. Fine. But when I needed to add some ‘pressure’ to my tires I just pumped in everyday free air from my compressor. As has been mentioned previously, I too will continue to use the time tested free air for my tires. I check the pressure frequently and add when needed. I may not be “green”, but I’m thrifty. Nitrogen molecules molecules (molecular weight 28) are not larger than oxygen molecules (molecular weight 32). Air is 78 percent nitrogen and 15 percent oxygen. Just my 2 cents. Nitrogen filled tires are good: for the retailer. There is no evidence that nitrogen is any better than air as a filling material for tires at any highway temperatures or altitudes. High altitude aircraft are different. Air is already +/- 80% nitrogen. So any change which can be attributed to gas laws is only for 20% of the volume. The difference is infinitesimal to any benefit other than the deflation of your pocket book. Utube has a complete explanation search top 10 reasons not to put nitrogen in your tyres. Don’t get scammed! Atmospheric air is 78% Nitrogen. The nitrogen molecule (N2) is approximately 300 picometers while the oxygen molecule (O2) is approximately 292 picometers in diameter. With respect to the tire rubber compounds, both of these molecules are very small. . . . . . The Nitrogen at Costco and elsewhere is produced through a molecular sieve or membrane, it is not 100% pure nitrogen. Having engineered, installed, operated and maintained these units over the years the nitrogen content could be as low as 95% purity although typically it is 99% purity. N2 is slightly lighter than O2 which may shave a few ounces off of a filled tire weight. The benefits of N2 over atmospheric air fill on tires are probably somewhat over-stated. Dry air should always be used to fill tires for the following reason. The valve stem on the tire is designed to seal off against a dry gas (atmospheric air) and not against a wet vapor (water entrained air). The valve stem will leak if tiny amounts of moisture are present under the valve steam seat. It is always a good idea to blow down a compressed air fill line or hose to ensure that the hose has not entrained any moisture. I would check with the tire maker to make sure they support putting Nitrogen in their tires. I tried it on one set of car tires and did not notice enough difference in wear, mileage or ride to make it cost effective, but that was just me. Like many, many other things on the market today, IMHO using nitrogen to inflate tires is a fad. 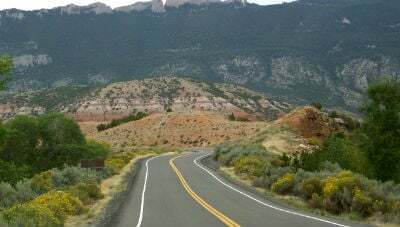 week, or if driving long distances daily, check every morning. Regarding air in the tires; any GOOD tire shop will have dryers on their airlines, primarily to protect their impact wrenches. Finally, I agree with the people who would hate to pay up to $20 or so per tire to inflate with oxygen then be out in the boondocks, find a tire low and have to inflate with air. In the tire industry 40 years; seen it all and done most of it! I purchased nitrogen from a tire dealer who used a tank of nitrogen instead of a pump. Is that a correct process? My 2014 sightseer had valves that were impossible to use a tire gauge on without standing on your head to use..Tires were mounted incorrectly at the factory with valves on both tires at the same mounting point for each wheel. Do I use nitro? You bet. Is it a fad? There people who think N.A.S.A, faked the moon landing. or that nitro does not work. The only PRACTICAL advantage of N2 is that it is dry. If you use dry air, there is no practical difference. The oxidation of caused by 20% O2 is irrelevant if you keep your tires less than 30 years. So. try to use dry air – but don’ fret over it. Us N2 only if you are a dealer trying to make money on a scam. Curt, I concur 100% with the statements you make. it’s worth the cost or inconvenience to RVers. The Problem today is people don’t have enough to do. When in military, I ran cryogenic plants making liquid and add gasoline oxygen and nitrogen. Nitrogen for tires is an enrichment function for the seller. Makes more sense to fill them with helium! Where is flubber when we need it? While Nitrogen is superior to ordinary compressed air for reasons as stated in the article…..the main problem I see with using nitrogen is for the consumer. I would think a lot of people have a false sense of security with nitrogen filled tires and would be less adamant about checking pressures thinking due to the nitrogen they wont loose air. The other problem is that even if you still check your pressures what do you do when the time comes to add a little air? Are you going to take it somewhere and pay to have them topped off with nitrogen? For me I prefer to use a small digitally controlled compressor like Ryobi makes. I simply set the digital cut off and top off all my tires before every trip. This way I know every tire has equal balanced pressure and its at my leisure with no additional cost. Nitrogen has been used in heavy equipment for years. It is used because if a tire explodes oxygen supports combustion and tires have some residue of nitroglyericn from manufacture. Nitrogen does not support combustion. I once saw a heavy equipment tire travel about 200 feet when it exploded with oxygen in the tire . I do not think there is enough value in using nitrogen to go to the trouble. Please forgive the spelling errors. Tires are not semipermeable membranes. You don’t loose tire pressure through diffusion. Schraeder valves in the valve stems – now that could be an issue. Something less than a perfect seal between the rim and the tire bead – that could be a thing as well. In short tires are not deferentially losing oxygen. The molecules are virtually the same size. Further, at a given temperature, the average velocity of oxygen molecules is less than nitrogen. From that perspective, you should actually lose more nitrogen. Tires age out for a number of reasons but oxidation of the interior is not apt to be one. Loss of flexibility, UV exposure, dry rot and cracking are things that do in tires. Save your money and check your tire pressures. It takes maybe 5 minutes maybe once a month. Under inflation is the biggest problem you face. Yes you can purchase a pressurized tank for nitrogen. They can be available from local gas suppliers. For complete details, perhaps visit this link for the types of cylinders that are available, details on exchanging tanks, etc., as there are many choices. “I know of no tire company that would object to anyone using N2 to inflate their tires as it is true that O2 can do more damage to a tire structure than N2. BUT this damage is minor when compared to the damage a driver does by running low inflation, overload or at high speed. Within the last 6 months, I’ve put new tires on my 5th wheel trailer and tow vehicle. The tires for both vehicles were purchased at different Big O dealers and filled with nitrogen. I’m seeing huge differences while checking the tire pressure when they are cold versus when they are hot. The truck tires are 80 psi when cold and I’ve seen 95 psi after 100 miles and they have warmed up. The trailer tires (rated for 110 psi) I’ve set at 90 psi cold and I’ve seen 115 to 120 psi hot. Does anyone have any comments or input? I personally think that nitrogen filling your tires is a waste of time and a fad since race cars use it for that extra edge. Nitrogen is nearly 78% of the air you put in your tires anyway. Therefor, if other gasses slowly permeate out of your tires, eventually only nitrogen will be left. Save you money for a good tire gauge or tire pressure monitoring system if you do not have one. Greg, my thoughts exactly. After a year of adding air you may have over 90% nitrogen. I fail to find a single reason for the average driver to spend even one dollar on this gimmick. Unless,of course, your son-in-law owns a tire shop! Over on another forum one of the guys showed a pic of a non-big name tire store: N Fill: $11 per tire, $5 per tire with rotate and balance, $3 per tire with 4 tire purchase. Truck and oversize tires $1 more, RV tires $3 dollars more. By the way the machine that gens the N in most tire shops runs from about $1800 to about $2500 and in all cases is will not provide N at better than about 92-98% purity. This article ignored the real reason to use Nitrogen. Water expands 1700/1. 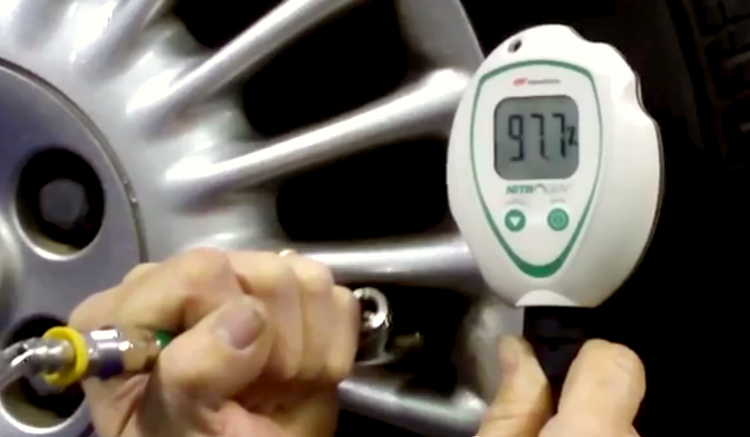 water vapor in air changes the pressure in the tire as it heats up and cools down. Nitrogen has no water in it. All air contains humidity,, as the air is compressed, everything in the air is concentrated, mainly water and heat. Charlie you are right, however I have putting air in tires since the 50’s and air has worked great going back a lot further than that. It might also be noted that high volume tire houses like Discount tire at the end of the day does not have a floor full of water from tires. air works fine, I never said it didn’t or N2 was better, only that the pressure doesn’t change and why. Water is in vapor form in tires normally and expands or contracts more than N2 alone when the temperature changes. I bought a new travel trailer in 2015 with nitrogen in the tires. 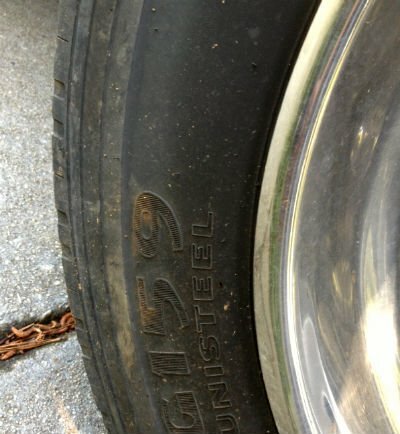 My wife and I have been camping in a travel trailer for 14 years and always had to top off the tires before a trip — usually 10-15 pounds in each tire. We are preparing to take our first camping trip for 2017 and just checked the pressure in the travel trailer. For the first time in two years the pressure is down slightly. If for no other reason, this makes it worthwhile to use nitrogen. David, if you had to add 10-15 lb in each tire before a trip, then you had tires with slow leaks or not seated on on trim or leaking valve stems. The air you breath is 78% N already and at the very best you are getting only 93-95% N at the tire store and in order to get that IN the tire you tire has to be purged at least 2x and its recommended 3x to get that 93% of N in the tire. Even then the N will seep out of the tires, but less than regular air, but not at the levels you mentioned…NOT saying you are feeding us a line of it, but rather your tires, rims and or your valve stems would be the very first place I would look. When tires are mounted on the rims what is inside the tire? The answer is air. now you are adding nitrogen to the air that is already in the tire. this kind of reduces the volume of nitrogen but money being no object go for the nitrogen. The use of nitrogen in tires started in aviation. When the landing gear is folded behind an engine in the nacelle, the tire would be located behind the engine firewall. Also, the engine oil tank on larger engines was located to the rear of the engine, just forward of the engine firewall.. If the engine caught fire, the theory was the air in the tires would fuel the fire, when flying at altitudes where the oxygen is thinner. So, the early aviation designers filled the tires with nitrogen to cut of the source of oxygen to a engine fire.